Portland Security Alarm™ has extensive experience in the design, installation and maintenance of commercial security systems to meet the specific needs from a variety of markets. Providing mobile access app, hardwired and wireless security products for intrusion, fire detection, medical and CCTV systems, with state-of-the art 24 hour monitoring service. The security needs of a business are varied and also affected by location and type of operation. We focus on the provision of security systems to protect your vulnerabilities, to minimize your security risk. Let us know your business and your concerns; we will work with you to deliver the right security solutions that will suit your business requirements and your budget. Security is an investment in your business, our range of services ensures the right security solution is delivered to you, this will not only protect your business, also will create a safer workplace, but in the long run may also save you time and money. √ Make sure employees are opening and closing on time. √ Ensure no one enters private offices without your knowledge. √ Track customer traffic in and out of your business. √ View daily reports on office usage from every sensor. 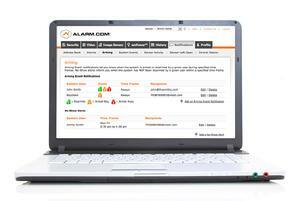 √ Arm the security system automatically or remotely, even when you or your employees may forget. 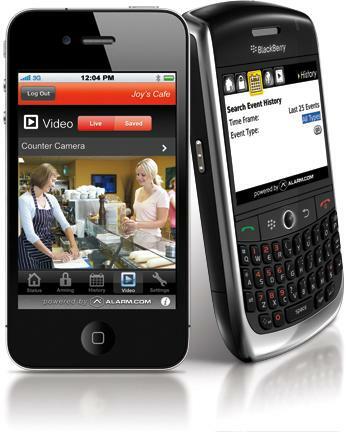 √ Receive notifications right to your cell phone, iPhone, BlackBerry or other smart phones. Our security products are tailored to meet the needs of every business, allowing to stay connected 24/7. Take advantage of Portland Security Alarm ™ unique web and mobile services to manage your business in whole new ways with customizable reports about customer traffic and office usage all at a affordable price for any business. No matter what industry sector you are in, education, commercial market, healthcare, automotive dealer, food services ,retail store, etc. We have the highest quality security solutions to suit your specific needs. Call us now (503) 255-8370.